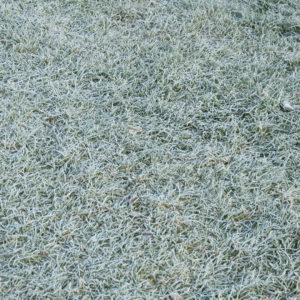 How Harmful Is Frost on Your Lawn? One of the most tell-tale signs of the weather getting cooler is the frost on your lawn when you wake up in the morning. For those who love caring for their lawn and take pride in it, a common question is whether or not frost harms your grass. To answer this question, it’s important to consider what frost is. Frost forms when the right atmospheric conditions create a dew on your grass. But when your grass is colder than the air, this dew freezes and turns into frost. An even bigger problem with this process is that your grass requires water to thrive, and when it tries to soak up this liquid, it can freeze inside the grass. In this case, frost on your lawn can be very harmful. Frost damage varies between different grass species, and some handle it better than others. 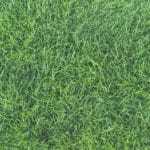 For example, Bermuda grass turns brown, becomes patchy, and dies relatively quickly if the weather does not heat up. Saint Augustine grass changes color, turning brown, yellow, even purple in damaged areas. Unfortunately, there is not much you can do to prevent frost damage. There are, however, a couple things you can do to minimize damage. 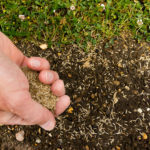 Anytime there is moisture on your lawn, it is important you stay off the grass because it can compact the soil and prevent the roots from getting the nutrients they need. This is equally important during the colder months when frost appears. While it might not help you this season, consider keeping your grassiest spots where they will get plenty of sun. One of the biggest causes of damage from frost on your lawn is when the grass doesn’t heat up during the day. Exposure to sun can help this. There are other ways to keep your shady spots beautiful, like shade-love bushes, mulched flower beds, and more. Do You Need Help Getting Your Grass in Shape after Frost This Winter? 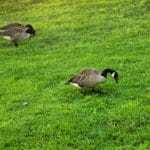 Contact the knowledgeable lawn care professions at Green Lawn Fertilizing. 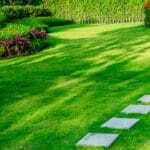 We specialize in creating picturesque lawns and know how to revive your patchy, dead grass. Call us today at 888-581-5296 for a free quote.